Next Project Repairing a Dell Inspiron N4010 Laptop. The laptop was given to me from my daughters friend. She had already ordered a new one and she knew I love to fix broken stuff:) Atleast any electronic that is worth my time. Reason I believe this is worth my time is because it powers on and can hear the HDD spinning only thing that is broken from the drop is the screen itself. Going to order the new screen this week will post details once project is on it’s way. Recently realized the Laptop screen is LCD/LED lit. Do not want to exceed $70 in parts. Don’t count in labor time unless I plan on selling after repairing it. Excuse the dirty desk area it’s where I work from & do my own personal repairs. As you can see the screen is toast. I’ll be sure to post pics and explain how to take apart & replace with a new screen should be fairly easy. Also plan on flashing the Viewsonic G-Tablet to ICS sometime in the near future will post outcome on that as well. 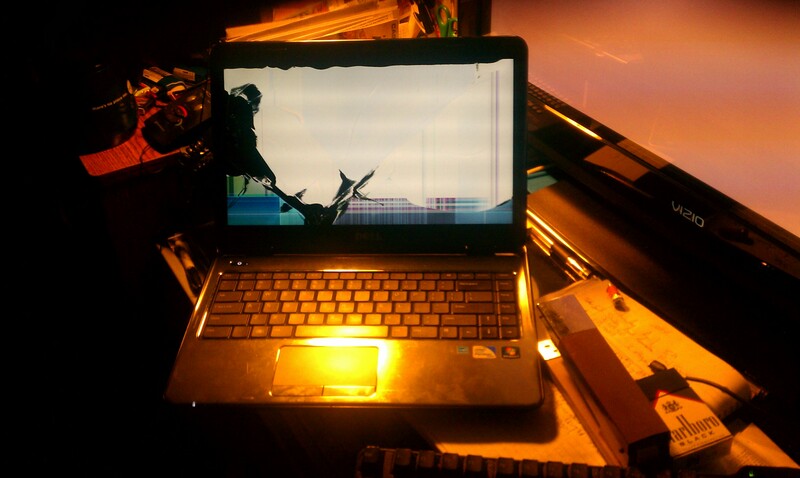 Update 04/10/2012: The screen ended up costing me $76 and change went 6 dollars and change over. Order is in so hopefully soon I will have a new posting on the outcome. Although I went over my $70 price point by almost $7 still worth the fix.